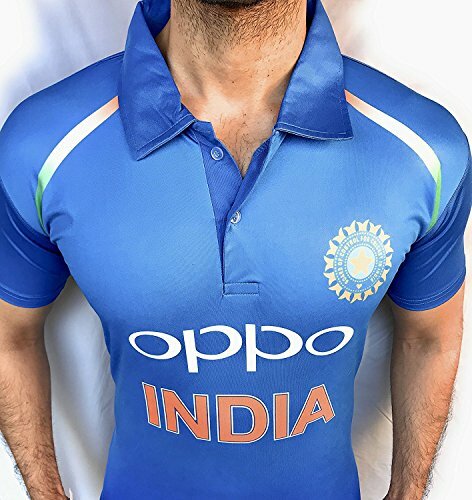 Perfect for India cricket team supporters, show pride in country and team by wearing this simple but expressive tshirt. Evolution of man into Indian cricket player with Indian flag in front..
Batsman in India jersey colors playing cut shot. 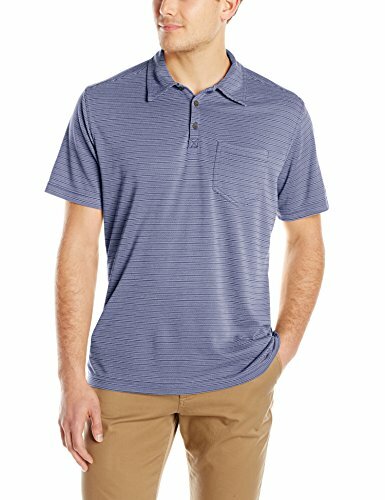 With subtle striping to accent its playful style, this shirt delivers all-over comfort, even on a sultry day or balmy night. The Cricket's Modal and polyester fabric is pleasingly soft, has great drape, dries quickly and resists wrinkles, making it ideal for travel. Cricket specific fit to aid movement for greater comfort and performance. Suitable for batting, bowling and wicket keeping. Un-finished hem for ease of alteration (supplied with iron-on hemming tape). Elasticated waist with drawcord and 2 pockets. Fabric: 100% Polyester. Weight: 240gsm. Sizes: XS, S, M, L, XL, 2XL (31.5", 33", 34.5", 36", 38", 39"). Cricket specific fit to aid movement for greater comfort and performance. Un-finished hem for ease of alteration (supplied with iron-on hemming tape). 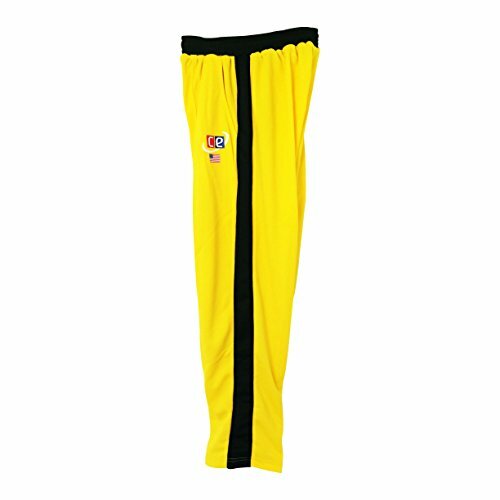 Give your best performance in the game with comfortable and top quality CW pair of Cricket Shirt & Trouser. 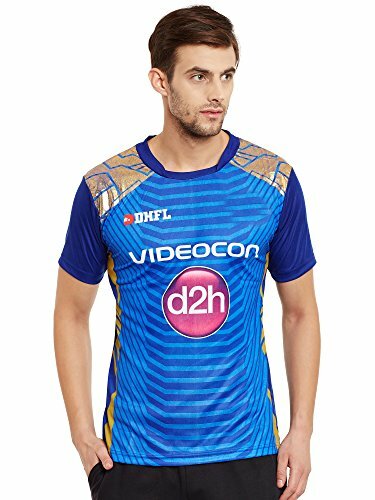 Top quality breathable soft cotton fabric material made pair to provide you full comfort while playing in the cricket field. 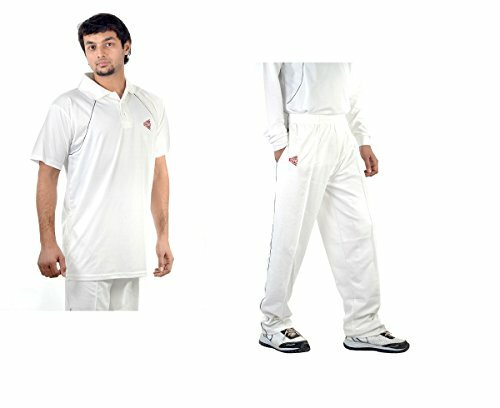 Pure plain white color half sleeve shirt and full length cricket Trouser with CW logo . Full machine stitch pair of top and bottom. 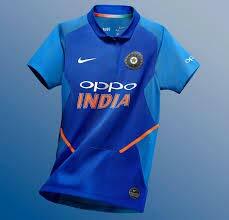 Ideal for every sports cricket player. 100% genuine material made and will work for you long last . Half sleeve shirt for summer games. 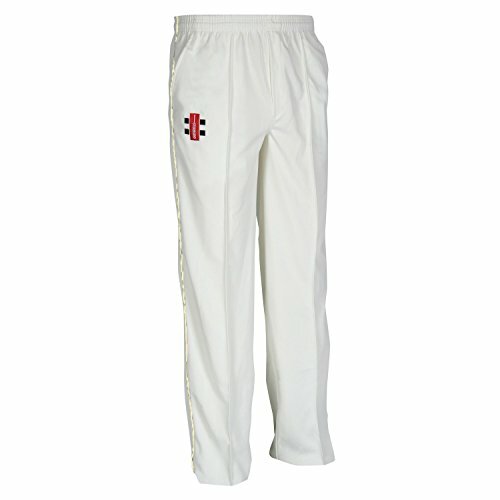 White playing Trousers in classic cricket style. Designed with mesh panels for breathbility, an elasticated waistband and inner drawstring fastening for comfort, and embroidered CW logo for style, these performance trousers offer the ultimate combination. Available in various sizes. 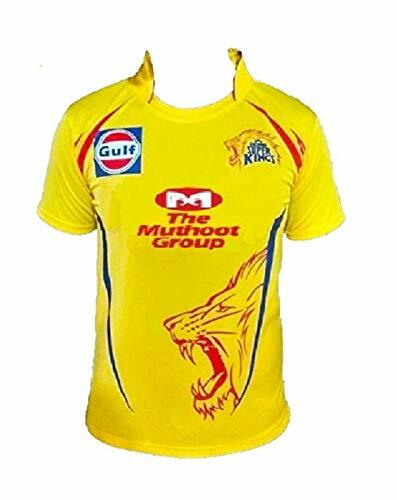 Made from top quality 100% genuine soft cotton fabric . 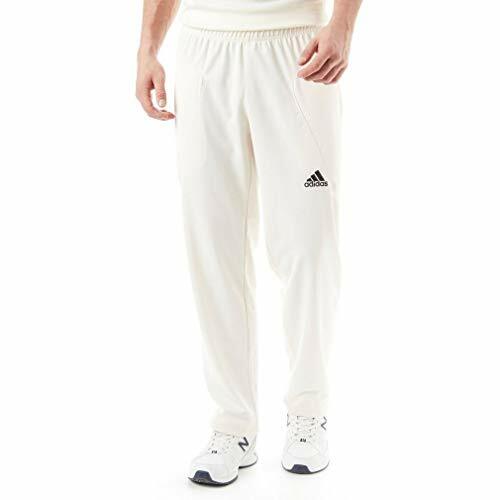 Pair of Half Sleeve Cricket Shirt With Full Length Trouser. Total White Pair with embroidered CW logo . Trouser designed with full cotton for breathability, an elasticated waistband and inner drawstring fastening for comfort . 2 front pockets . 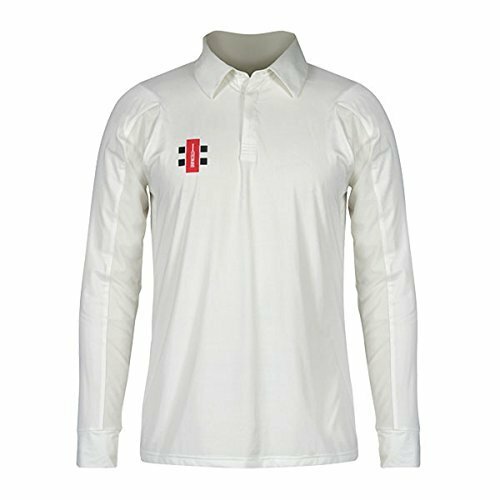 Latest Lightweight fabric made for high performance half sleeve cricket shirt . Machine washable . Made from 100% premium quality material. 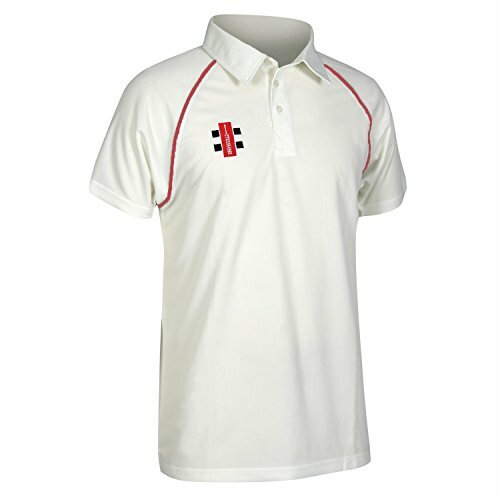 Cricket specific fit to aid movement during play for greater comfort and performance. Moisture-controlling materials draw heat away from the body. Collar for UV protection. 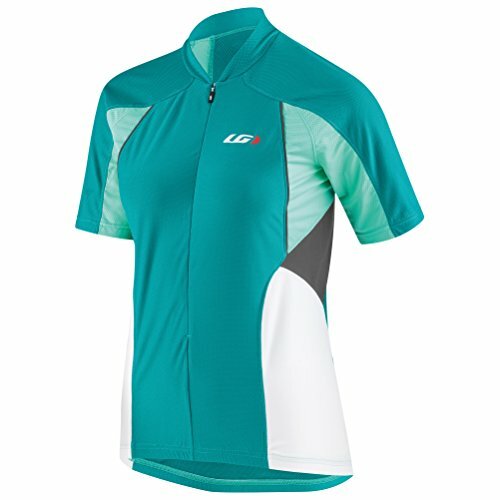 Short sleeve features decorative piping trim options for team colors. Fabric: 100% Polyester. Weight: 145gsm. Chest Size: XS, S, M, L, XL, 2XL (36.5", 38", 40", 41.5", 43", 44.5"). 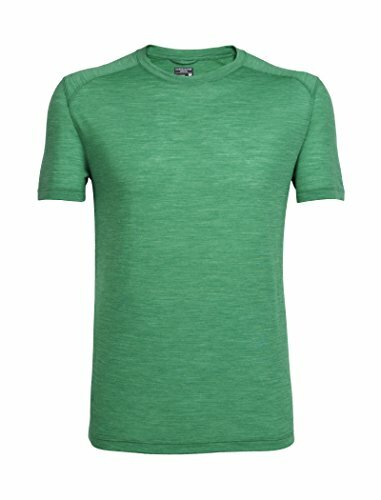 Short sleeve features decorative piping trim options for team colors. Ergonomically designed by cricketers for cricketers. The Gray-Nicolls collection worn across the world in the greatest cricketing arenas. Strategically placed hard wearing fabric at the side leg for dynamic slides. Elasticated waist including drawcord and 2 front pockets. 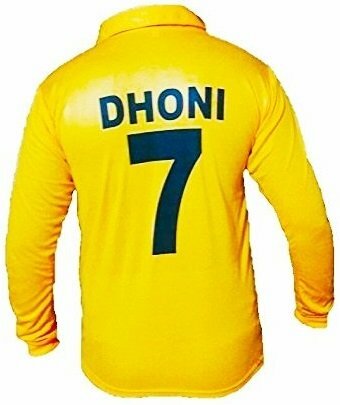 West Indies Cricket T20 Uniform comes in Burgundy Maroon Gold Yellow color combination - Soft fabric made with mix of polyester and cotton. Jersey & Pants sold separately. Available in different sizes.